Bushnell has a solid reputation in the industry and it is always a pleasure to test one of their products. 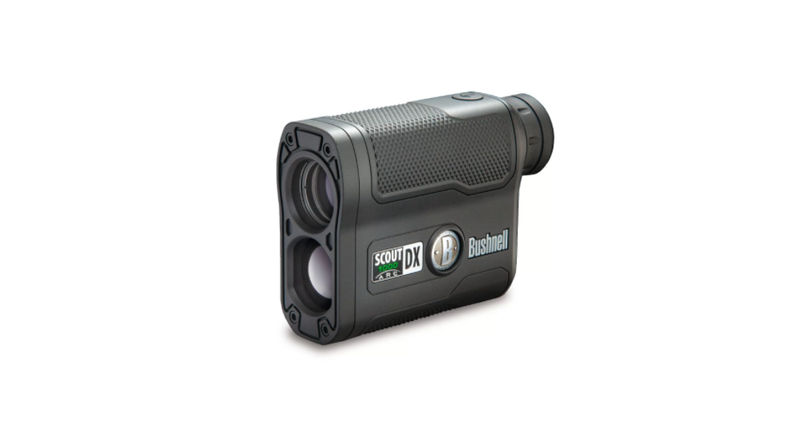 The Scout 1000 ARC Laser Range Finder is priced more towards the upper range, but you get a lot of value for your money which softens the blow on your wallet. It is a nice compact piece of equipment with a solid design and features that you would normally only find on much more expensive rangefinders. Bushnell has also included everything you need, including the battery, so you don’t have to incur any additional costs to get it up and running. Something that looks good in the shop doesn’t always work that great out in the wild, but Bushnell has been in the business long enough to know what makes for a great design while still remaining practical. The rubber coating of the Scout 1000 ARC makes it easy to grip in humid and wet conditions and if you have ever had a rangefinder slip from your grasp while using it from a tree stand or hunting blind you will appreciate this design. The design is durable enough to withstand a few drops on the ground or grass, but definitely not rock or concrete. It is also nice to see that Bushell has incorporated a built-in tripod mount in the design. The Scout 1000 ARC is designed to be easy to use out in the field, but it does have a few different modes, so taking a look at the manual is highly recommended if you want to get the most out of it. It uses a 3-volt CR2 battery to operate, which is expensive, but thankfully Bushnell includes one in the package to get you started. They also include a carrying case and neck strap, so the rangefinder is ready to use right out of the box. 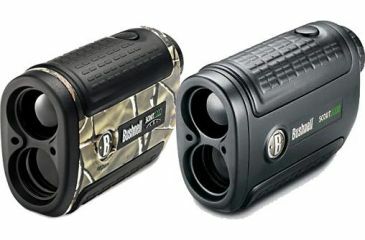 Overall I was very impressed with the design and Bushnell did a great job creating something that is not only useful to carry around, but looks great as well. While the 1000 yard range certainly sounds very impressive, realistically you are looking at tree range finding performance of about 650 yards and deer ranging performance of 325 yards according to the back of the box. Bow mode obviously only goes out to 99 yards and in rifle mode you will struggle to get a range beyond 800 meters unless the target is highly reflective. These are still very impressive figures though and very few hunters would require anything more than what the Scout 1000 is able to deliver. What is nice is that it has a range as close as five yards where other models tend to start at only ten, which is useful in certain situations. The optics is clear with good magnification and the ability to choose between imperial and metric measurements is always a handy feature. The Scout 1000 includes a few targeting modes to ensure that you get accurate readings no matter what the circumstances are. Standard mode works like any other rangefinder and gives you a reading on targets up to 1000 meter while “Bullseye” mode offers greater accuracy by making sure you are not accidentally measuring any background distances. In this mode if more than one object is acquired, it displays the closer object on the LCD screen. Finally, there is “Brush” mode which disregards foreground objects such as brush, boulders and branches to give you better readings on background objects. The different modes are easily accessible by pressing the “Mode” button on the rangefinder. There is very little about this range finder that I don’t like as it covers pretty much everything that you would need out in the field. Folks that are really pedantic about accuracy might not like the fact that the readouts are only in whole yards and doesn’t include decimals, but that’s really a minor issue. Another issue is the display which is a bit hard to read under certain lighting conditions, but honestly this is something that affects many rangefinders. You get rangefinders that don’t have these issues, but the jump in price is usually not worth it. 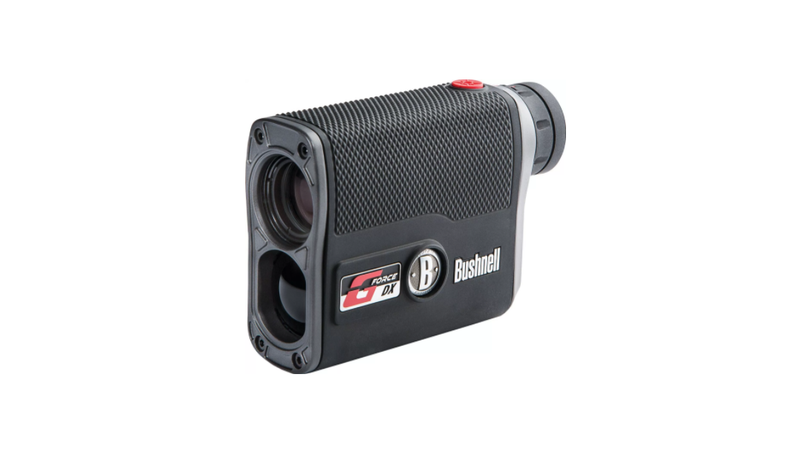 The Bushnell Scout 100 ARC Laser Range Finder is definitely a product where the pros far outweigh the cons. 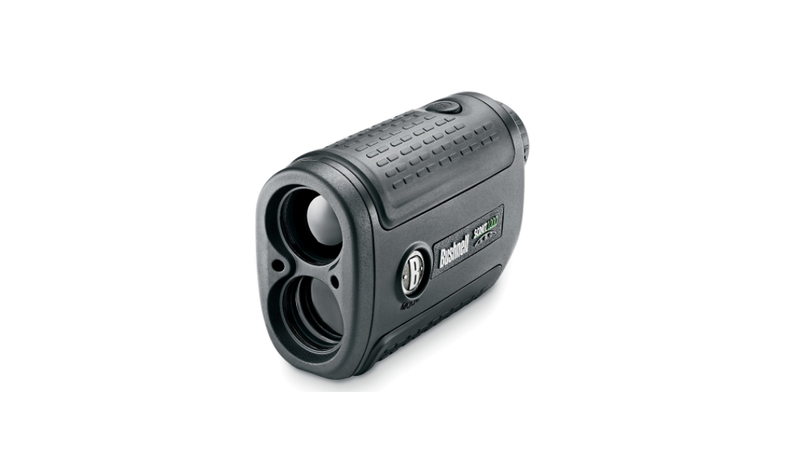 Although it is not the cheapest range finder on the market it provides superb value for money with a range of useful features. Take a look at the long list of pros compared to very few cons below to see what I mean. 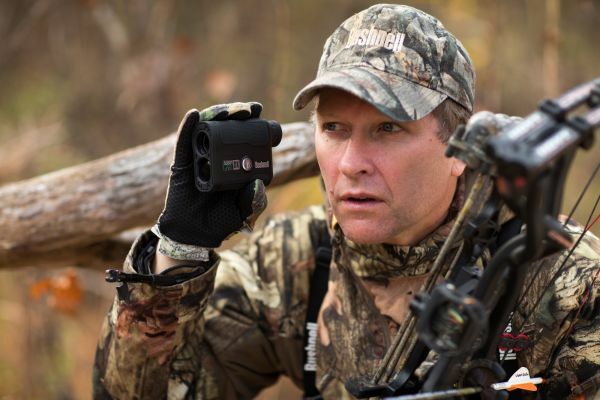 Whether you are a bow hunter or prefer rifles, the Bushnell Scout 1000 ARC Laser Range Finder is a piece of equipment that you will always want by your side. 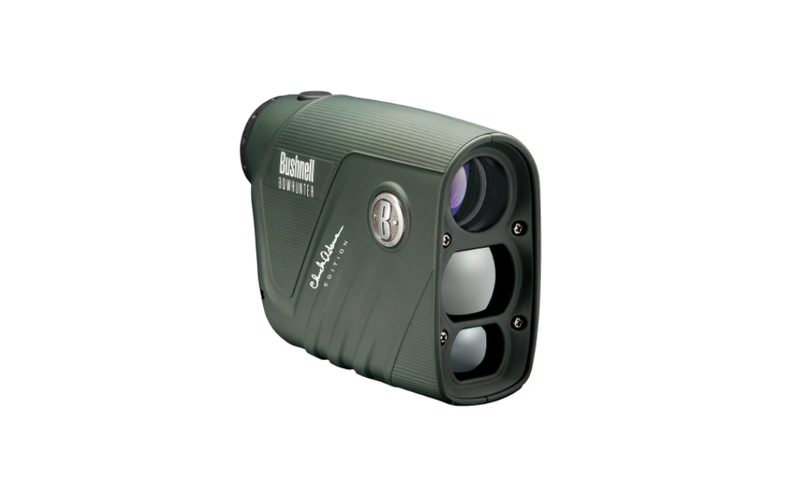 Bushnell rarely disappoints when it comes to their products and their years of experience really shows in the Bushnell Scout 1000. It has a lot to offer for both bow and rifle hunters, so if you are a newcomer or want to upgrade your rangefinder without breaking the bank you will want to get you one of these.